Mainly used to eliminate the phenomenon of degradation, yellowing, oxidation and scratches after long-term use of the lamp. 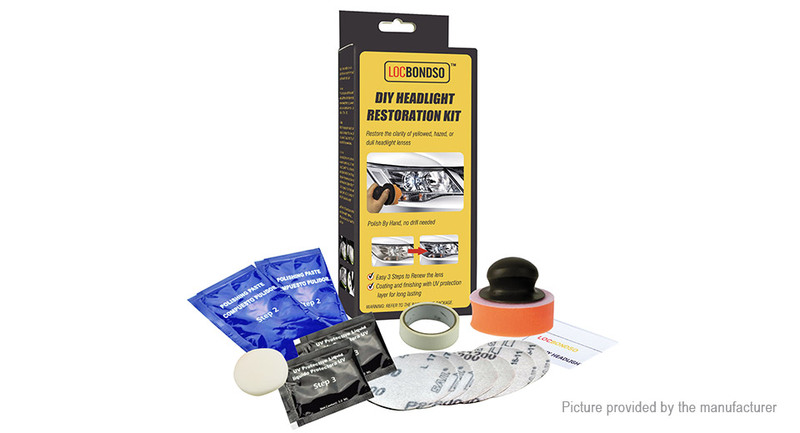 Has a certain repairing effect on all blurred lenses and most plastic lenses, such as taillights, trailers, boat windows, helmet masks, motorcycles&apos; windshield, snowmobile, etc. Improve the appearance of the headlights. Increase the visibility of the headlights. Improve the safety of car driving. DIY products and modules (if applicable) cannot be returned or exchanged once soldered or otherwise modified.